Planting the seeds of self-reliance and entrepreneurism while delivering locally grown, farm-fresh produce to quench Jackson’s food deserts. Dr. Cindy Ayers-Elliott will be the first to tell you that the real story of Foot Print Farms is not about her, even though it is her brainchild and has taken root and thrived thanks to her innovative thinking and careful stewardship. The original concept was simple. 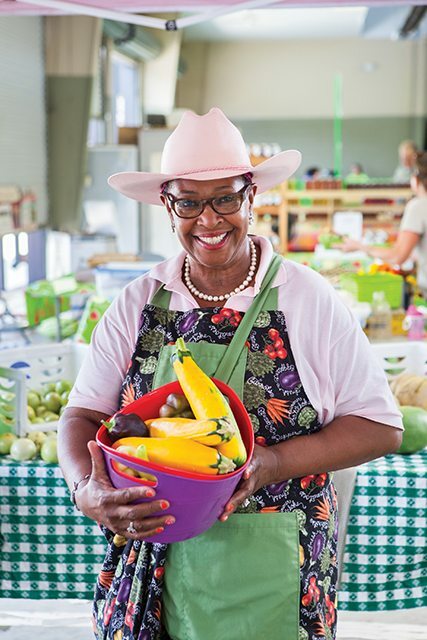 She had a 68-acre plot of land in the middle of the City of Jackson, surrounded by neighborhoods starving for fresh, nutritious food and hope for their economic future. When the Mississippi native returned to Jackson after 9-11, she was looking for a new direction. She wanted to be a part of something where she could make a difference and she didn’t have to look any further than her state’s alarming health statistics to find a mission. Everywhere she turned there were reports of staggering rates of high blood pressure, diabetes, obesity and heart disease. Cindy Ayers Elliott once worked on Wall Street—but has since traded in her high heels for a pair of work boots. 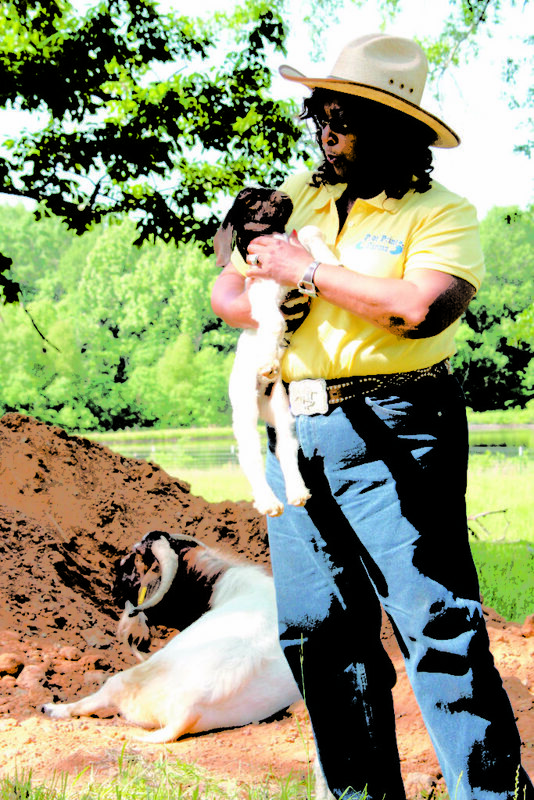 The former CEO and investment banker has made a life-changing move to her Jackson home-turned-farm, where she rears goats for meat and grows organic vegetables. 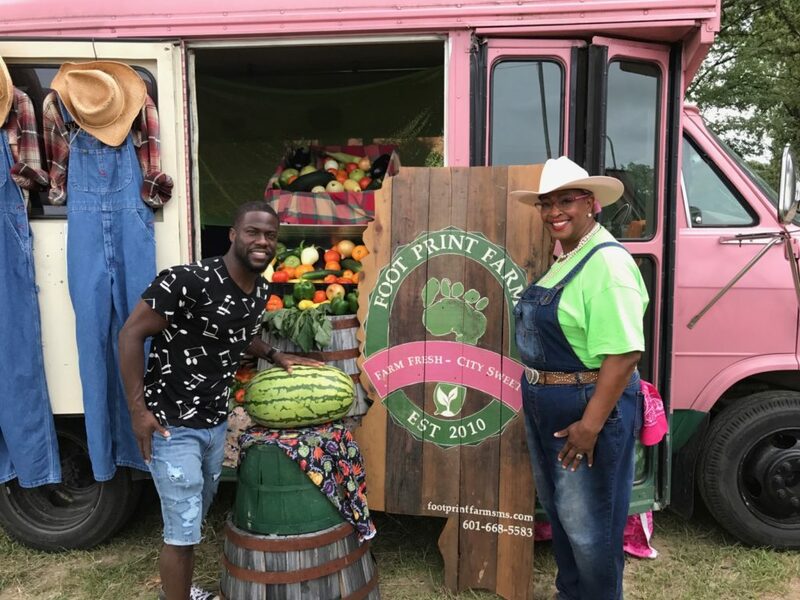 Now, Elliott is CEO of Foot Print Farms, which is home to 30 goats and a deer-proof vegetable garden she calls the Serena Williams Tennis Garden, because she established it on the site of an unused, fenced-in tennis court. After six years working for Mississippi Treasurer Marshall Bennett and eight years for Chapman Spira and Carson, an investment banking firm in New York City’s financial district, Elliott was ready to change her pace, return to Mississippi and convert her homestead into a farm. 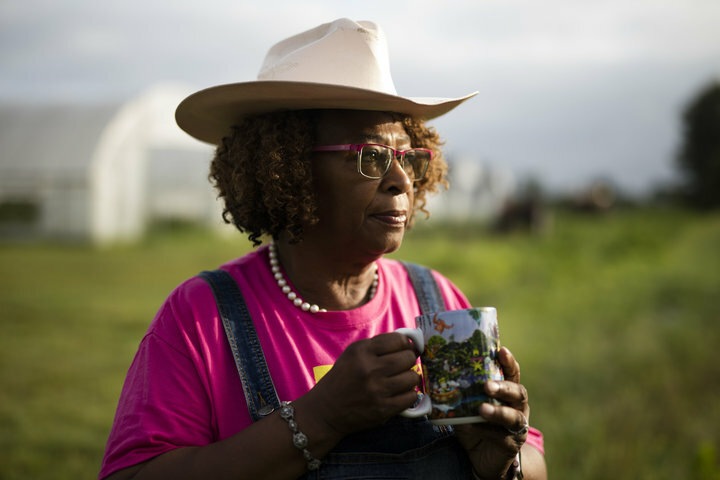 USDA’s Natural Resources Conservation Service (NRCS) helped her do just that—by ensuring her farm is productive and environmentally friendly. Once trekking Wall Street as a businesswoman, Cindy Ayers Elliott has traded in her high heels for a pair of work boots. The former CEO investment banker has made a life change move to her Jackson home-turned-farm, where she rears goats and organic vegetables. “This is the Cindy Ayers Elliott now,” she said. 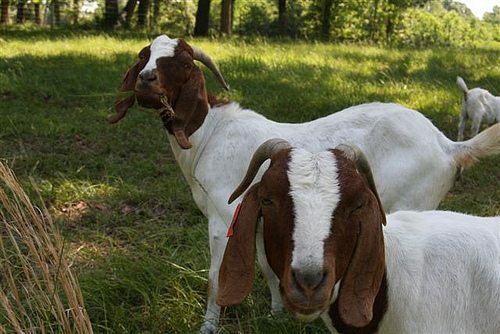 Elliott has 30 goats and has converted an unused, fenced-in tennis court into a deer-proof vegetable garden, which she named The Serena Williams Tennis Garden.